Divide integers in this exciting divide integers math test for loads of practice in the form of multiple choice questions as well as drag-and-drop questions. 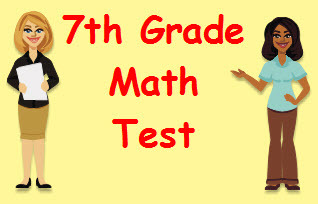 This test gives you a chance develop and maintain math skills in the area of dividing integers by giving you quick feedback as to how well you understand. The test is a fun and colorful way to check your understanding. Return from this Divide Integers Math Test to the Middle School Math Tests , 7th Grade Math Tests webpage, or to Math Tests.